Accommodation in a family house in a village in the Rajecká valley. 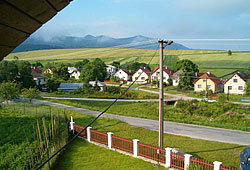 The house is situated in an attractive environment, 4km from Rajecké Teplice. 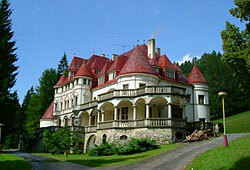 Rajecké Teplice belongs to the most attractive spa resorts in Slovakia. Living room with colour TV+SAT, bathroom, 1x separated WC, kitchen (el. stove, gas stove, el. oven, fridge with freezer, el. kettle, pantry, MW oven), dining-room. One single room, 2 double rooms (one with balcony), one triple room and separat WC. Central gas heating. Parking in the yard. Train (Rajecké Teplice station) 4km.